On this episode, we’re going to be doing an Ask Me Anything or AMA interview. If this is your first time tuning in, AMAs are when I have the wonderful opportunity to connect with either seasoned or former consultants and they give you advice. Our guest is Tanya Stevenson. She’s a seasoned, independent consultant. She’s the Founder of Stand Up and Deliver Consultancy. She’s also an author and a speaker. In our episode, she actually shares a little bit about her career journey as an independent consultant. You’re going to really enjoy the conversation as Tanya does a really great job of dropping some real world knowledge and gems that will really help round out as you continue on your journey to greatness in 2018. For the career dilemma, I had several mentees reach out to me. They’re attending their first industry conference, and they were asking how to maximize their time at these types of events. 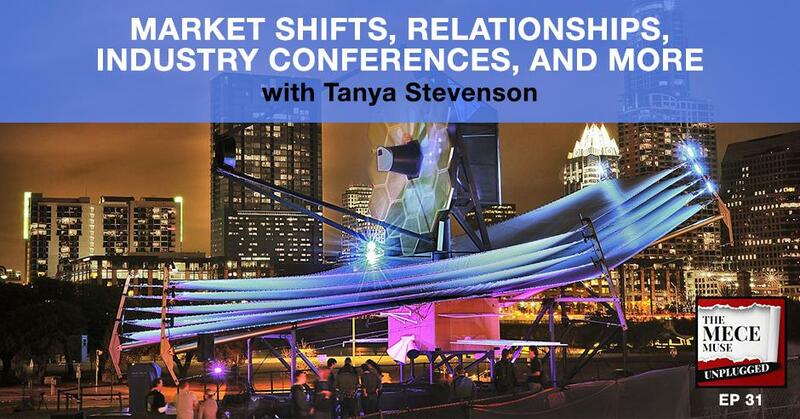 Both Tanya and I share our insights and our experience of attending industry conferences and how you can take advantage of those opportunities. It’s a very informative discussion. I hope you will enjoy. 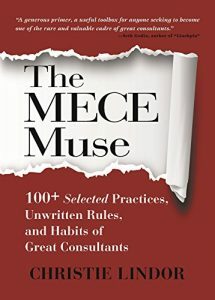 I’ve been getting a lot of questions about my book, The MECE Muse, so I wanted to address a couple of them before we get started with our interview. One of the questions I get is, “When is the book officially going to be published?” It was already published February 20th, and by definition of published, that means that if you were to go onto Amazon.com, you cannot only order the book, it will actually be shipped to you. Published is really the technical term of when the book is available for mass distribution. Another question that I’ve gotten is, “When is the book going to be available on common or popular sites such as Amazon or Barnes and Noble?”We are in the process of setting up other pre-order pages. As soon as the book is available on all the different types of popular book site outlets, we will let you know. Another question I’ve gotten is, “What formats are the book going to be available?”Upon publishing, the book is going to be available in both a paperback format, as well as an e-book or a Kindle format. We’re going to be publishing it with those three formats. The next question I’ve gotten is, “Is there going to be an audio version?” Yes, there will be an audio version. I’m actually going to take a little bit more time to publish the audio book version. That’s probably going to be a little later this year, most likely in the summer or fall timeframe. I’ll keep you posted when the audio book will be available. The last question that I’ve been getting a lot the last couple weeks is am I going on tour? Yes and no. I’ve started the virtual book tour and in virtual book tour meaning that I have been doing a number of different podcast interviews, doing guest blogging on different websites, doing interviews online with magazines. That’s going to be the extent of it at this particular point. In addition to that, I do have several in-person book signing events underway. It’s going to be happening between the March through April frame. As we finalize information and dates, I’ll share that with you in the future. Most of my book tour events are virtual, but the ones that are in person, we’ll make sure we keep you posted. If you want to learn more about the book, more about the book tours and all types of information, you can go ahead and check out my new book website, and that’s MECEMuse.us. The podcast site has not changed. It’s the same, MECEMuse.com. With that, let’s get started. I have the pleasure of introducing Tanya Stevenson to the show. 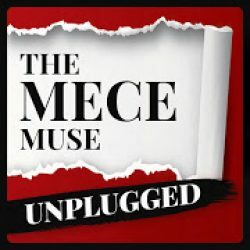 Tanya, thank you for joining us on The MECE Muse Unplugged. How are you doing? Before we get started, if you can take a moment to introduce yourself to the go getters of the MECE Muse Unplugged? I’m Tanya Stevenson. I’m the Founder of Stand and Deliver Inc. I declare it as an independent management consultant specializing in organization change management. I’ve been doing that for ten years. I’m very grateful to have built a business that has stand the test of time regardless of the economy. It hasn’t always been that easy. Ten years ago I often experience the feast and famine that consultants can experience, especially independents, not knowing where the money is going to be coming in or my next contract. 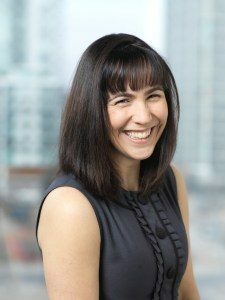 Of course, that adds a bit of stress with my relationship with the most important person in my life which is my husband, and not having to work with my clients to ensure that my value in the market is recognized and rewarded appropriately. I’m really happy to be here, ten years later on your show, hoping I’m going to be providing some value to your audience and some other people who might be in a similar place. Just being in consulting for the last fifteen years or so, the market has really been very interesting. It has been quite the adventure in the market and to see the contract of the industry. I can imagine as an independent consultant how much you must feel that rubber to road feel, so I give you kudos. It takes a certain level of grit to really be able to embrace that journey as an independent consultant. I would love to hear how you decided to go into consulting. I know you mentioned you’re an organization change management consultant. Consulting is my specialty so we’re definitely kindred spirits. Can you maybe give us a little bit about how you decided to go into the profession? I come to it from a different direction than some of my peers. I had the great fortune of actually starting my career in a startup company, which was fabulous, intense, hard, grit experience. I grew very quickly into an operational role of managing not only customer service for over 900,000 customers, but of four departments all before I was 30. I have that entrepreneurial nature due to that beginning. What I was often doing is solving the problems for the organization continuously. I never actually would ever consider myself as one of those long-term management leaders. I was always solving problems, going to the next thing, and so I usually would call myself as an internal consultant, because it didn’t matter what we needed. We need a new billing system, we need a new telecom system, we need a new department. We need to shut down a department. We merged with another company. We divested. It was really quite a radical education system that you don’t get when you’re in school. Having hard knocks in the beginning really lent to quite a strong foundation. When I said, “I want to grow my career and I want more experience and more adventures and more problems to solve,” I looked around and I saw that it wasn’t growing my career up a chain of command that was going to give me that. I decided I really enjoyed the project environment. I looked around and I said, “Who does that?”The very people I was hiring did that. The very people that were helping me solve my problems, the consultants, I looked at them and said, “How do you do this? How did you get into this? How would I do that?”The very people who are helping me solve my company problems actually helped me solve my career problems. That’s how I got started, as I watched them I figured out how I would lay it out. When I broke away ten years ago, independent, I was ready to do that. As an independent consultant, I would assume there are a lot of parallels with a startup company environment. Since you’ve had that experience firsthand, maybe you can share with the go-getters what would be some key differences between going to a startup company and going through that journey versus independent consulting. Some of the differences in that was when I started my independent side, I had a lot more conscious direction I was going. I still made a lot of mistakes, but I had a much more conscious decision around that. When you’re doing a start-up company though, there are a lot of burning problems you’re trying to solve. For example, I look at some of my clients and they’re managing budgets, too. If I’m within $100,000, I’m happy down to $20,000. When you do a startup company, you’re managing your budget to $50. You’re dealing with a lot less and you’re doing a heck of a lot more with that. When I had 900,000 customers, I only had eighteen people in my call center. At the time, one of my vendors was AT&T, and they had 55 people in their call center. Your scale is so much different in a startup company. Take that and go into independent. Now I’m a company of one and I have to do everything myself. In some ways, the difference with the startup company is at least I still had people. I still had teams. I was still able to hire or fire. I was still able to build teams. Now I’m trying to do everything myself, and so productivity is even more essential. I had leaders working with me on those start-up companies. We were trying to chew out these problems together and find solutions to these problems together. As an independent consultant, there are times when you’re incredibly lonely. You don’t have a lot of peers or joint leaders that you’re leaning on. You’re leaning on other independent consultants, other community areas, trying to help solve some of your own problems. You just touched on the loneliness of consulting. I hear that so much. I hear it from independent consultants, but I also hear it from consultants that work at a specific firm. Not a lot of people understand the lifestyle. Even if you have people around you that do the same type of work, they’re not part of your social circle. Your social circle sometimes doesn’t understand what you’re going through. I have to be really fair to that topic in saying one of the hesitations of me becoming an independent consultant versus being a consultant with a firm is even people from the firms I work beside, some of them were smaller boutique and some of them were the big four, that always got brought up and they say, “Do you really want to go down this path? Even if you work for a big four, it’s still lonely. Now you’re going to be an independent, which is even going to be possibly lonelier. Are you prepared for that?” Coming from a background of counseling, because my background is sociology and psychology, and coming from a background also where I’m a big believer in planning to succeed, not failing to plan and then failing, I had to really step back and go, “How are you going to mitigate these risks? How are you going to set this stuff up so you’re not completely running on empty all the time and you have no one there near you?”It didn’t always work out. As you know, in a project environment, you can plan all your risks you want, with all your mitigations you want, and it doesn’t go to plan, but at least you have something to fall upon. You’re in the startup environment, you’ve been in a very volatile marketplace, it’s been for the last decade or so, and you’ve done well for yourself as an independent consultant. What would be your top three pieces of advice that you would give someone that’s new to the profession? They may be thinking about joining a firm or striking out on their own. What would be some of the top things you’d share with them as advice? From my experience at both working for large companies, both oil and gas and utilities, I’ve said this to employees and I’ve said this to independent consultants, you can never go wrong, first and foremost, having a great foundation and great project management experience. You don’t have to become a specialist in it, but you better have a good understanding and a respect for a project environment. No matter what you’re doing, eventually something is going to show up in your wheelhouse where you’re going to have to be part of a project because somebody is going to be making a change somewhere. That’s my first piece. My second piece is always remember, you never know who you’re meeting or working with, what their role is going to be the next time you meet them. I worked with somebody and that somebody was, a B-Suite, VP level. Next time I meet them, they’re my consultant. One time they’re my boss, one time I’m their boss maybe. That’s happened to me, one time I was a boss and next time I’m on the staff. You never know who you’re going to be meeting in your network, who and what your roles are going to play like with each other later in life. Respect everybody around you because you just don’t know what the circumstances are going to be like in the future. Don’t take it for granted that you know, because you don’t. My third one was always as a consultant, be very value-driven. I cannot express enough about always providing value to the people around you and your network. It can be a potential client. It could be the person you’re working with on the team at your client. It could be the person who’s working for you. How do you make this a mutual exchange so that everybody is walking away with something? My last one is that grit, that resilience. You’ve got to find ways to really build that up. The market, the industry, the clients, it’s always changing. You’ve got to be able to bounce around and be really able to be flexible around that. You don’t know where this person will be the next time you meet them. I love that because it’s the story of my life. I’ve seen ironies as well and it’s pretty remarkable. Spot on advice. I remember teaching a class. I used to teach project management at both the universities in my local city. A student who is in there, two years later, the student is now my client. You don’t know how your roles are going to be reversing around. That’s a great story. It shows the testament of being respectful for everyone. There is a saying that I actually love and I always share it with people when they get super excited about their successes. I’m like, “Celebrate your successes, but understand that success is not final.”It’s so true. I’m all about celebrating, but at the same time you can’t stop there. It should give you momentum to continue on. In this world, you can’t stop. You have to keep going. On the flip side, failure is not fleeting as well. Being independent, one question that I hear from people that are in a crossroads deciding if that’s where they want to head is, how do you really get client work as an independent consultant? What are some of the ways that you’re able to get client work from your network or in general interactions with different people? We’ve all heard the blanket statement, your network or referrals. For me, when I first started out I got my first contract through a small firm who set it all up. Before I showed up, the firm I was working through and the client both collapsed. So I left my paid employee role running a project management office, was a ton of fun, decided to make this breakaway and before I even started I had lined everything up through another firm who were my vendors. It was in my network so it was a referral. They knew what I was like, they really want to put me in front of their client, and everything just fell apart. I didn’t do my homework like I probably needed to as much as I should’ve. 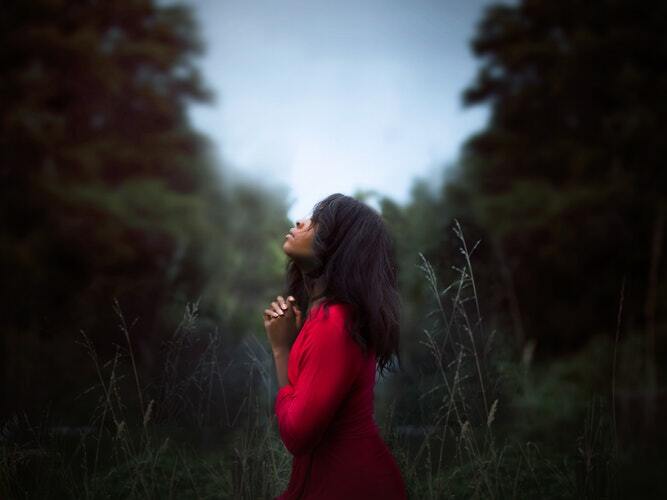 I thank God for my network of respect because another vendor that I had worked for had heard about my plight and they wanted to actually put me in front of one of their clients, a large oil and gas transporting company. It was really fortunate that that came in that way. To be honest, from there on, that’s how it has worked for me. It’s because of my desire to always provide value and connect with my network, I always stay top of mind with both third party vendors, directly with the leaders that I had worked beside in my industry when I was a leader, and I stayed in contact with other consultants who provided me services. We worked so well together when I was their client so they were more than happy to refer me on to their clients when they had an opportunity. That is pretty well for ten years. That is exactly how I’ve gotten my work again and again. Has there ever been anything that ever surprised you or that you’ve learned about tapping your network to really seek out new business? Sometimes I’ve actually gotten work that not been direct from people I’ve actually met directly or I had directly on my phone. In this digital age, what I do a lot with my network to stay top of mind is I do occasionally send gifts to my clients, or when I leave, I leave behind a book or I send articles because I’m always scraping the world of content for usable stuff, not just myself but for my clients. I’ll find this magazine and I’ll send them the actual physical magazine or I’ll send them clippings and stuff. I had one client come to me through that was actually three people removed, and they got the attention because the third person receiving this had gotten it from a trusted person in their network who got it from somebody else in my network, so there’s this weird connection. Remember when LinkedIn used to have how closely are you connected? It was like that scenario, which made me believe the world is not six degrees of separation, it sounds like three. This person, because of this trusted relationship through these multiple individuals, had followed up through, back through the chain to get to me, and that’s how I got a contract. It was very surprising, and very rewarding to say, “This gift here got passed onto there, which line up with this other person who was so impressed by the whole string of value there, that they ended up coming back to hire me. That was surprising and, if anything, just reconfirming that that approach is valuable and it works for everybody in that string. Go-getters, if you’re hearing this and you’re thinking about going into consulting, whether it’s independent or otherwise, get on LinkedIn. It is the social network for professionals. Part of your Facebook group, the Black Sheep Consultants, you put a lot of really great content out there that I pick up and I really enjoy. I would love for you to share with the go-getters a little bit about the Facebook group, especially if they’re interested as newbie consultants. Market Shifts: Respect everybody around you because you just don’t know what the circumstances are going to be like in the future. I’m like you, Tanya. I’m not really a big Facebook person, but every time I log on there and I come across the post, I always take a key nugget away. I definitely would recommend joining Black Sheep Consultants Facebook group. Having that safe space is so critical and there are not a lot of outlets like that. I think it’s pretty unique. I have a couple of mentees that are attending industry conferences for the first time. They want to get a little bit more information on how to really maximize their time at any industry conferences. Tanya, you are an experienced seasoned consultant. I’m sure you’ve done many conferences. I would love to hear your thoughts on ways you think that people should consider, in maximizing their time at industries. What are some of the top things that they should consider as they prepare for that? I love conferences, but I have to admit, you can spend a ton of money on those. How can I get the best bang for my buck? There are three phases of a conference. There is how do you prepare for one, what do you do during it, and there’s the post event as well. When you get started and you’re finding out conference for your craft or industry or whichever, the thing you want to make sure is are you ready to show up there at your best? To make it easier, I always say have your elevator speech ready to go. “My name is, I’m an owner of, I provide so and so services or products, I’m currently focused on.”Have in mind, when you show up there, what are you looking for? 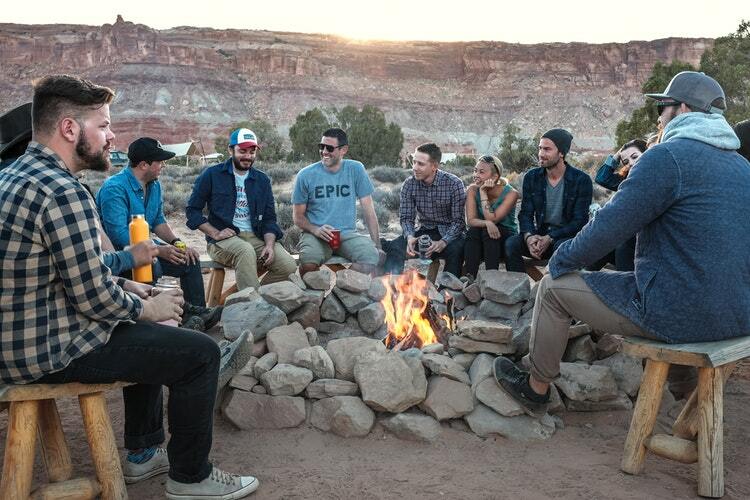 Are you just looking just to hangout and have a party, or are you actually there to solve some problem for either yourself or your clients or your company? Have a bit of a goal when you’re showing up there. When you’re doing that, also make sure that you really take a look at who is going to be speaking and go, “Is there anybody in particular here I want to be speaking to? Is there somebody there that I want to be following up with? Either a speaker there that I want to be chatting with directly, those kinds of ideas?”If you’re prepared, that’s very helpful. Just like LinkedIn is the place to go, I’m actually a big believer still on the old style. Have some business cards on you that you can write notes on, so that you can have that interaction with people that you meet. That’s the pre-prep, so prepare for the conference. During the conference, it’s probably a good idea to make sure to put your phone away. Put it on vibrate, whatever it is, and be present there and be present with the people you’re meeting. Show up early for it, so you have an opportunity to network with people and be comfortable and get familiar with the space and all that. I remember when I was at one of these events and I was sitting back watching. I watched this group come in and they were incredibly rude to the serving staff and the coat check people. It was interesting because nobody wanted to talk to them after they walked into the room. I also remind people to be really polite wherever you go and be very respectful because people are watching. You might have created yourself a brand that you might not even realize as you walked in the door. During the event, you want to make sure that you’re ready to be introduced. You’re comfortable, you’re dressed for the part, and you have your questions ready. Not only are you going to learn while you’re at that event, but you’re going to be able to talk to people and they’re going to ask who you are and you’re going to go, “This is what I’m doing and this is what I’m focused on.” Maybe they may or may not be able to help you. That’s what you also ask other people. “Who are you? What do you do?” You find out what they’re focused on, and maybe there’s a way that you can help them. That’s that value-driven piece. The thing is, be authentic about that. If you can really help somebody, give him your card, put a note on there saying, “I think I can help you with this,” and here’s that opportunity to connect with that person and be memorable. Offer to be of assistance to them. Learn what you can. If there’s a speaker you want to catch, see if you can get into any of the VIP or speaker events and follow up with them. Doing the same thing, being prepared, and then during the post event, follow up on your commitments. If you said you are going to help somebody and you said, “I’m going to call you in two weeks,” call them in two weeks. If they wanted to talk to you, then they’ll call you and be prepared to give them the help that you can. That is how I have built a network and a reputation that has fed my business so well for ten years. That was extremely helpful in terms of the way that you’ve done that. Go-getters, definitely jot this down and create your blueprint of how to connect on these conferences. I’m going to add a couple more things just to round up. Everything you just said was spot on, I’m going to just add a couple more things. I know for me, I have three objectives of a conference. Again maybe it’s just where I am in my career. There’s part of that, too. Depending on where you are, what phase of your career, people will have different objectives depending on that time. I’m going to share mine where I’m at today. Objective one is to gain visibility. Gaining visibility means, are there opportunities for me to be part of the conversation? When I say part of the conversation, is there a potential way that I can speak? Can I share maybe a case study of some work that I’ve done in the past and can showcase my firm? Can I contribute? Sometimes I’ve been in conferences, not that I’ve been speaking at them, but I may have been able to contribute through writing a white paper or providing some thought leadership that I co-author. Especially in my younger days as a consultant, I did a lot of co-authoring of conferences. I was a little bit more shy. I was very introverted, so I don’t want to talk publicly, but I did make sure that I share. A little bit of my ideas and assertions were part of the conversation. Gaining visibility is one piece. 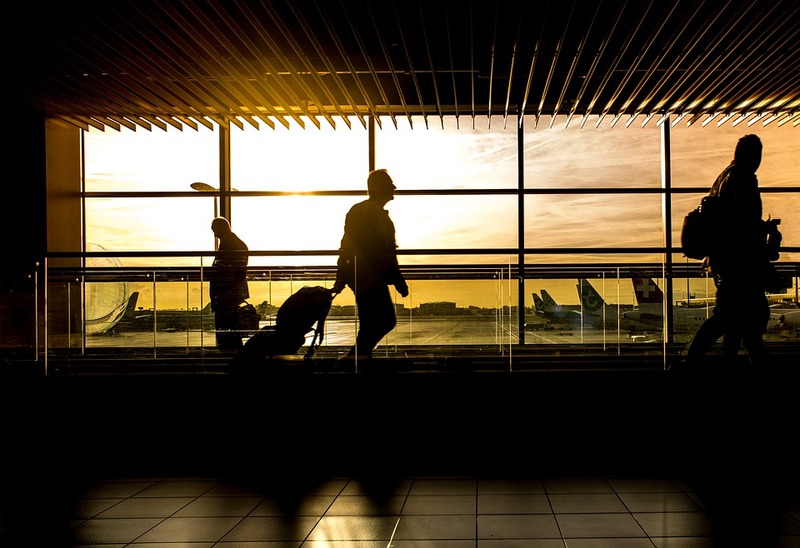 To your point around preparing, what I’ve found in the last couple years, social media is really amazing in that you can start to connect with people that are going to be at the conference, either speaking or going to be attending it, before you even go. One of the things that I’ve been doing recently when I know I’m going to be attending something, I tweet that or I put it out on my Instagram or my LinkedIn and say, “I’m going to such and such conference. Who’s in?” You’d be surprised at the number of people that reach out either from that message you put out there, like, ” I’m going.” You already start making connections with people before you even show up. I’ve been able to do that even with people that are putting it on. People who are putting on the actual event, I’ve done tweets and done certain things, and then I’ve been able to connect with them and start to get the insider scoop on who’s going to be there, what’s happening. Don’t underestimate the power of social media in the preparation plan. It really leads to my objective two, which is making connections. You said that really nicely. It feels like you’re always running out of time. You’re feeling so stretched. When I realized that, I tried to create a multi-dimension of different people I want to meet. I say, “Of all these people, who are the top five that I absolutely need to either give them my business card, I need to make sure that we make some type of connection?”Instead of trying to try to connect with everyone, let me try to create quality interactions. Sometimes it’s also where I connect with someone I haven’t seen in awhile. I want to strengthen an existing relationship as well. The connections are definitely big. The last thing I’ve done with conferences that has actually worked out for me and my brand building is knowledge sharing. When I go to conferences now, it’s not just taking it all in. Sometimes you go to conferences and you learn so much, and then you put it away and you don’t use it. What I’ve gotten into the habit of doing now is write blog posts. I may write a blog post or I document it and I put it in a Google doc and I’ll share it with people, or I do a presentation. I do something with it, so even if I’m not using the information right that moment, it becomes part of my toolkit in some way. I become known for x, because I shared that information. For example, the last conference or summit I went to was in May. I went to a podcast summit. All the notes that I took in that, I created two or three blog posts, I’ve shared it with at least 50 or 60 people now, and I’ve actually seen that circular. I’ve seen a couple people launch their podcast just from that and helped create the value add. Those are some additional thoughts that I use that work. I don’t go to a lot of conferences now. I want to do so more in the future, but for the ones that I have done, those are the things that I’ve done. I love those additions. Now you’re stimulating me to go, “Do I have another article I should be putting on my blog now?” I’ve got a couple of around conferences, but those are some great four additional highlights. Market Shifts: Do you know why you’re showing up and what your objectives are, and are you prepared? The thing is it goes back to the objectives. You’re going to the conferences and you’re probably going to be able to build on more business. I may be going to the conferences more from a thought leadership brand building. Then you may have people that attend the conference and they’re really like students of the conference, like you said earlier. They’re just trying to build their skill set. Again, go-getters, you heard two different lenses, but keep in mind, you want to attend a conference based on what you need now to really maximize it, as opposed to what you’ll need in the future. That’s the best way to go. Any last thoughts before we close out on this case? No. I love it when I’m still walking away as a student. That’s awesome. One question actually I wanted to get your thoughts on. I go back and forth with my colleagues on this. What’s the pro and con you think about attending a conference with a buddy? When I say a buddy, meaning a colleague or a coworker? Do you feel like it hurts or helps you, from your perspective? It depends on the person you are and what you find you show up like in conferences. Ten years ago, I was an incredibly shy introvert. I’m actually an introvert. It’s been a lot of training and self-awareness to get where I am today, but back in those days, having a wing man and a person with more experience and connections was great. They led the way and help role model a lot of things I wanted to learn and broke the ice for me. I’ve also seen the other extreme where a having a wing man is great if you’re way too robust and way out there. They help peel you back a little bit and help temper the conversation. If you do it all by yourself, that’s great too. As long as you have your confidence and you’re ready to go and you’re prepared, I don’t think there’s a right or wrong answer here. It’s definitely situational. I like what you just said about it being the type of person you are and how you show up. I go back and forth on that one. Some days it makes sense and some days it doesn’t, but again, it depends on the conference and it goes back to the objectives. What are you there for? This is such a great conversation. I really enjoyed it, Tanya. If some of the go-getters are looking to connect with you, maybe you can share how they can get in contact with you or what are some of your social media handles? I do have that group on Facebook called Black Sheep Consultants. On Twitter, I’m at @HiFromTanya. On LinkedIn, it’s Linkedin.com/In/TanyaStevenson/. For my website, you can go there as well at www.TanyaStevenson.com. This is such a great conversation. I had a lot of fun connecting with you, Tanya. Thank you. I really appreciate just how it’s a good time. That’s what ultimately I’m trying to make sure while I’m having this adventure as an independent consultant, having fun along the way. Go-getters, if you have a specific question or feedback, feel free to drop us a line at MECEMuseUnplugged@Gmail.com. I would again like to thank Tanya for being a guest on the show, and thank you my go getters for tuning in. This is Christie Lindor signing out for The MECE Muse Unplugged pop-up podcast. Here’s to your journey to greatness.